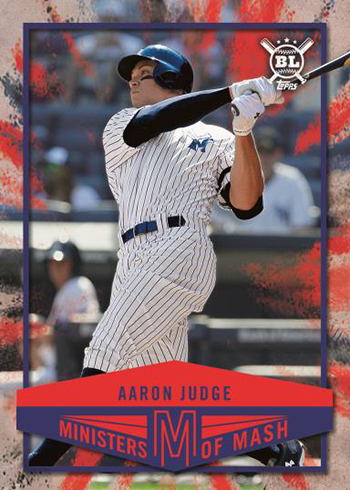 2018 Topps Big League Baseball is a new, affordable line ($42.95 per box) aimed at bringing the fun of the game to baseball cards. It’s kind of like the vibe of Opening Day only with a standalone design that’s entirely new. 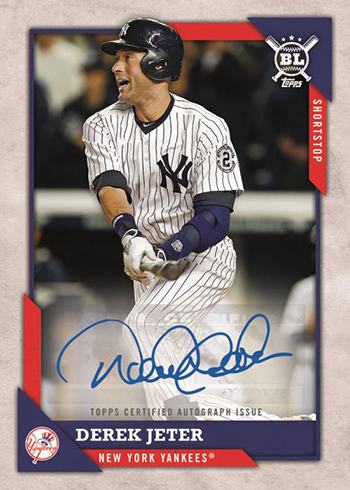 The target of 2018 Topps Big League Baseball may be new and young collectors, but its relatively straightforward approach should appeal to a lot of long-time collectors as well. 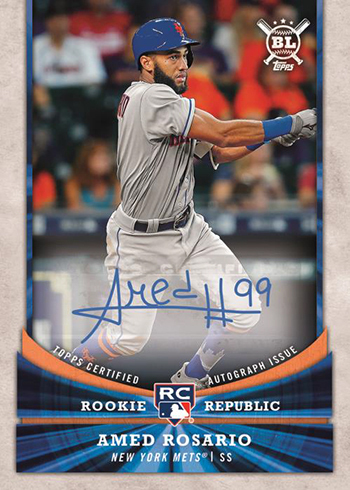 At 400 cards, the main part of 2018 Topps Big League Baseball is sizeable but not massive. 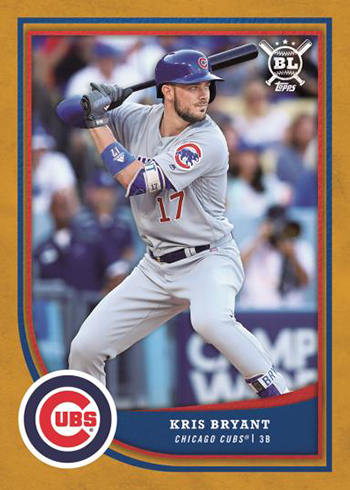 In addition to the standard rookies and veterans, the base set has a couple of unique subsets. 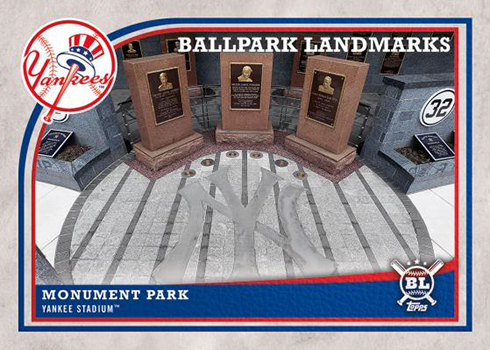 Ballpark Landmarks offers a look at key pieces of MLB stadiums. Subsets include All-Time Greats and multi-player Stat Kings. Parallels come in a few levels, starting with Gold, which are one per pack. Numbered versions include Rainbow Foil (/100), Black and White Image (/50) and one-of-one Red Foil. 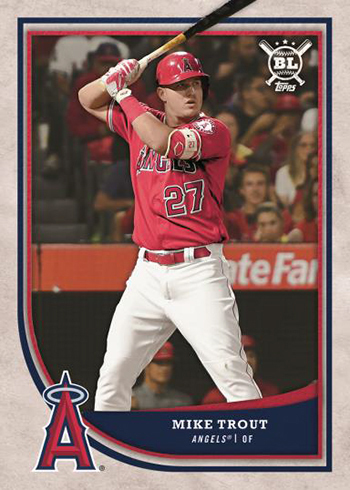 Bark at the Park cards featuring pups around the majors were originally planned for 2018 Topps Big League Baseball. However, they did not make the final checklist for the product. 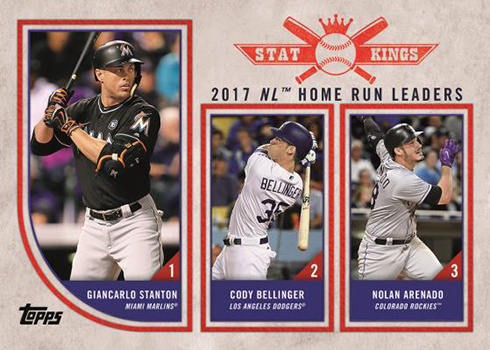 2018 Topps Big League Baseball has three basic insert sets. Star Caricature and Players Weekend Photo Variations each have 30 cards. There’s also the smaller Ministers of Mash. Autographs are not a focal point and they’re not a guaranteed box hit. But, like Opening Day, they are part of the product. Big League Autographs highlight signatures from veteran and retired players. Rookie Republic Autographs spotlight young players. Both autograph inserts have Gold, Black and White Image (/25) and Red Foil (1/1) versions to go with the base copies. 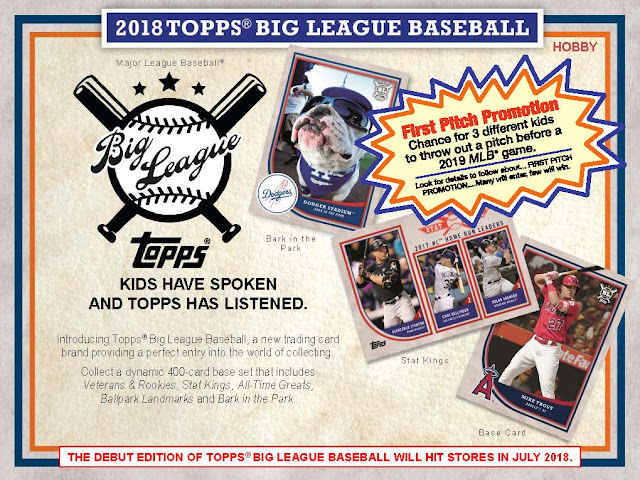 Also tied to 2018 Topps Big League Baseball is a contest where three grand prize winners will throw out a ceremonial first pitch at a 2019 MLB game. While specific details haven’t been announced just yet, the contest is open to kids.